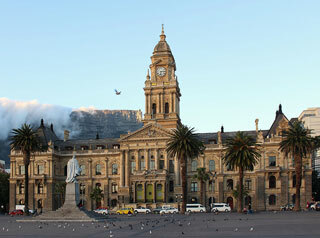 The city is famous for its harbour, for its natural setting in the Cape Floristic Region, and for such well-known landmarks as Table Mountain and Cape Point. The city was named the World Design Capital for 2014 by the International Council of Societies of Industrial Design. In 2014, Cape Town was named the best place in the world to visit by both the American New York Times and the British Daily Telegraph. This article uses material from the Wikipedia article "Cape Town", which is released under the Creative Commons Attribution-Share-Alike 3.0 License.